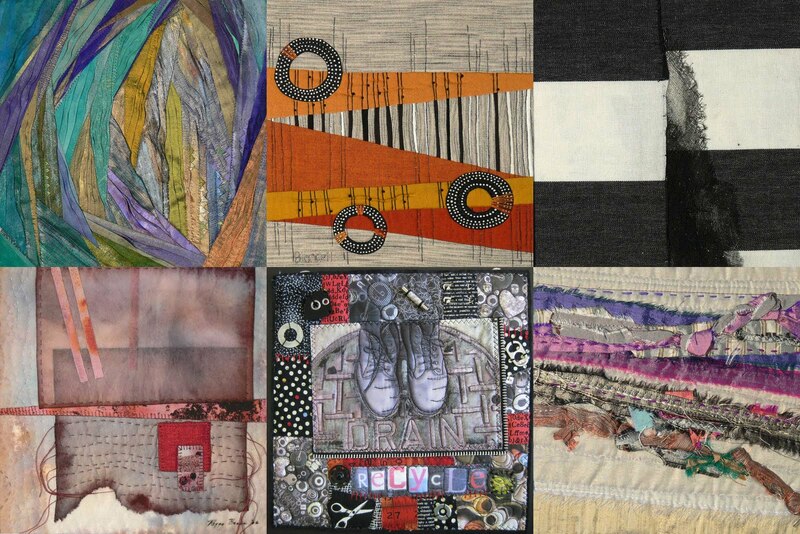 Kathy shared a slide show of the currently traveling truck show of 50 8"x8" art pieces (six shown above). 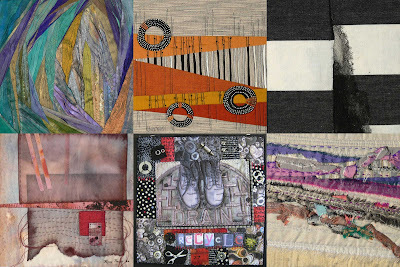 The pieces possessed a range of media: zippers, plant dye, lace, paper, photos, hand sewing, color pencil, netting, printed fabric, wool, beads, applique, french knots, tinted fabric, rusted fabric, composted fabric, natural dye, gauze, raw edges, machine quilting, satin stitching, net overlay, etc. Imaginative, beautiful, inspiring! Ale brought everyone a block sandwich, thread and a needle to practice the basic running stitch technique. 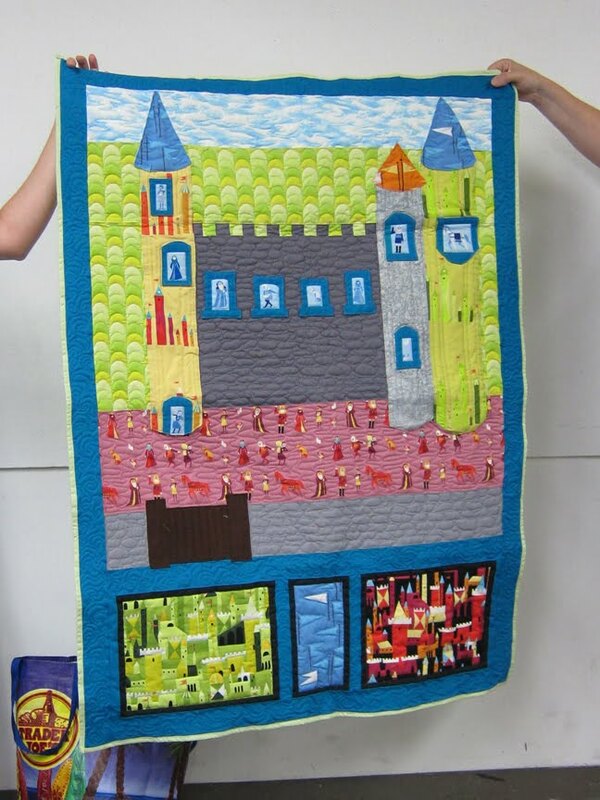 Her tool preferences include Crewel needles, Dritz leather & plastic thimble and Thread Heaven conditioner and protectant. 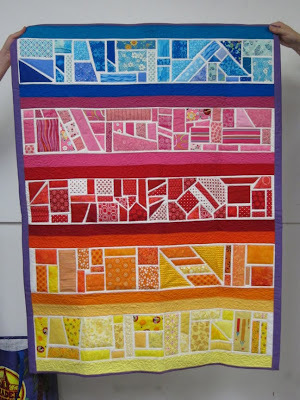 If you missed Ale's live tutorial here's an online seven part video tutorial. 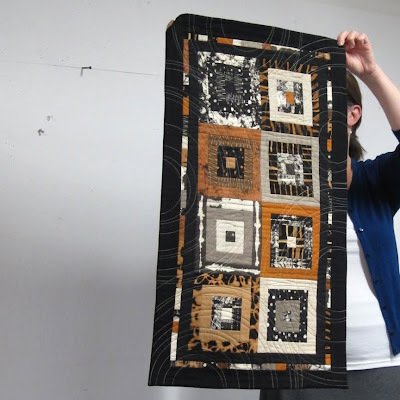 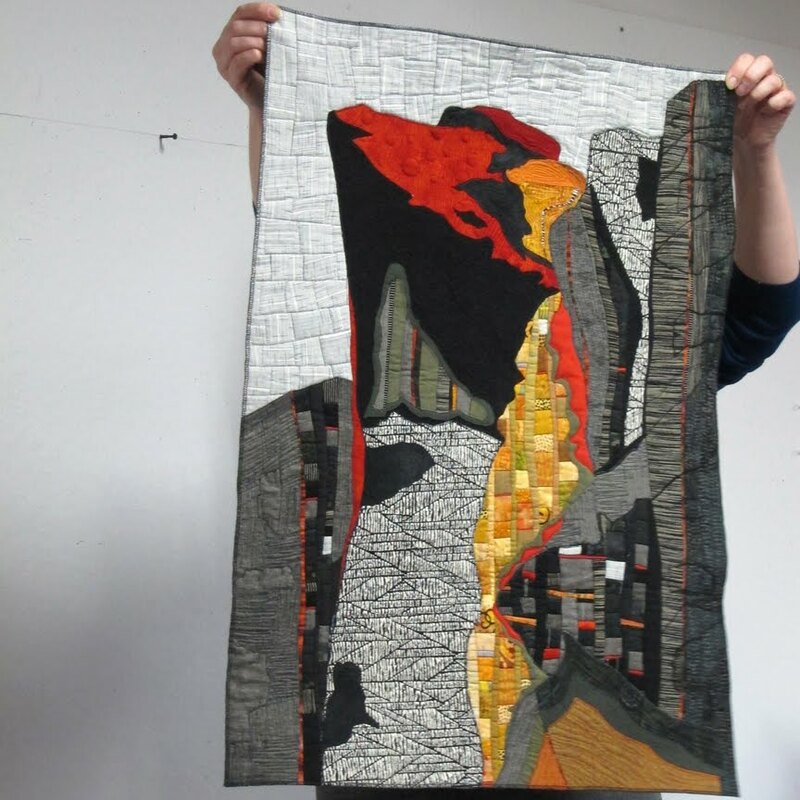 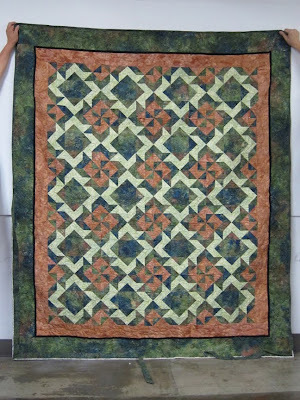 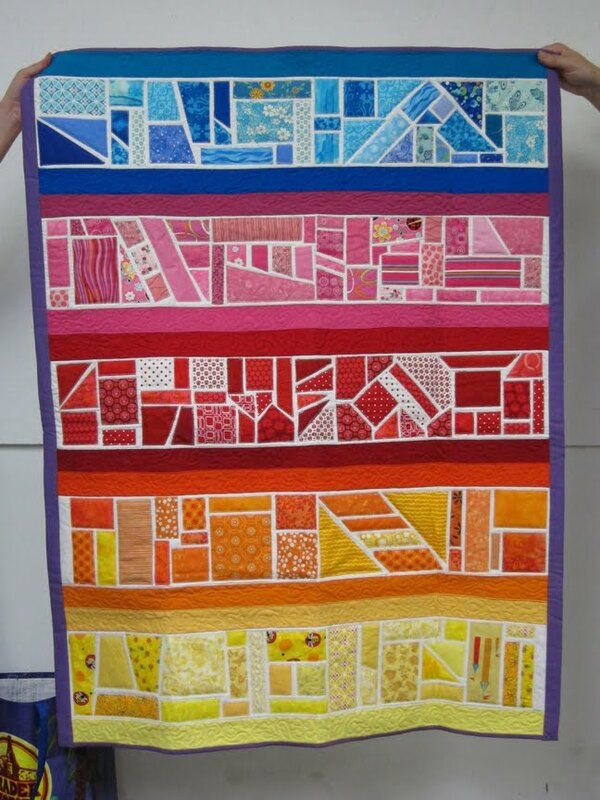 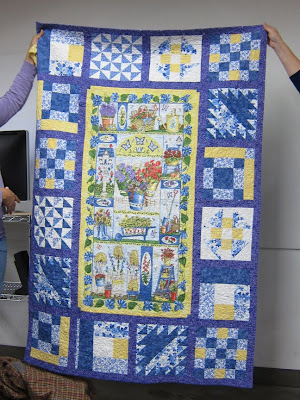 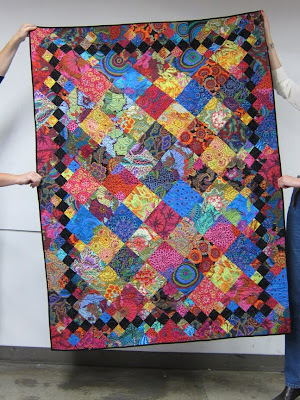 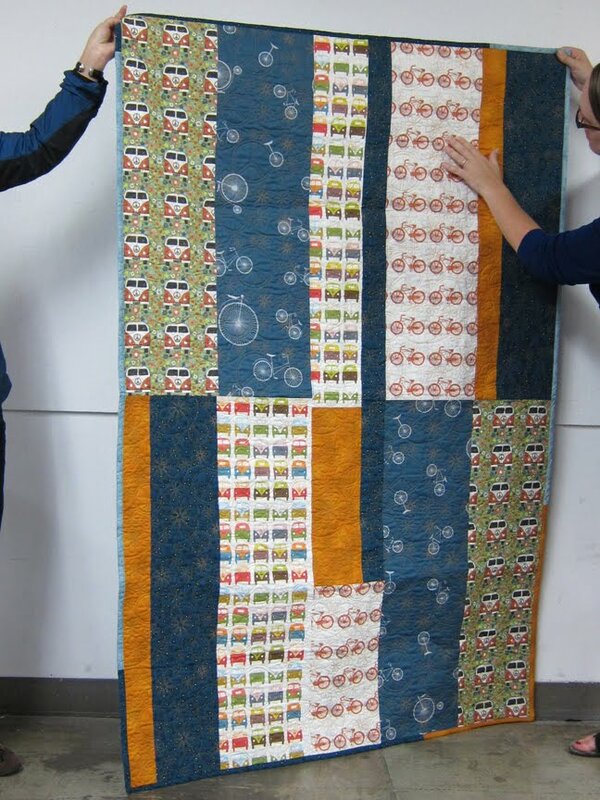 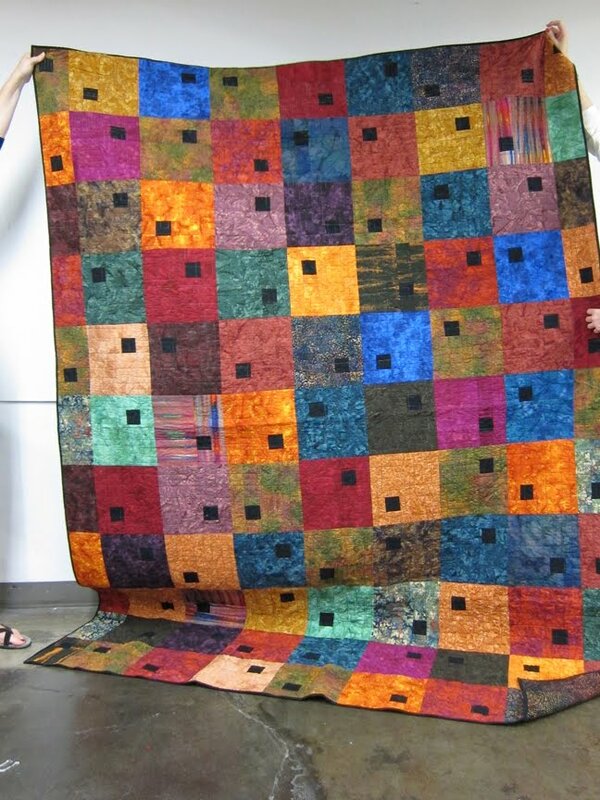 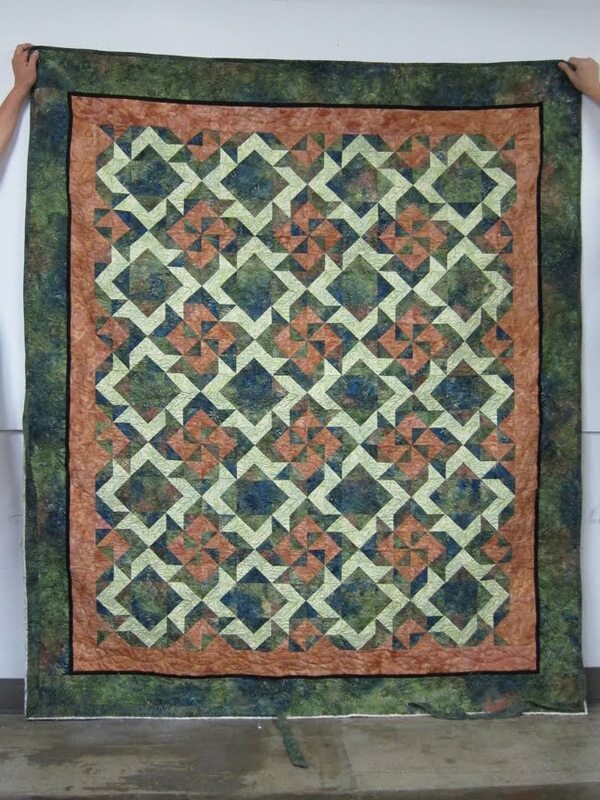 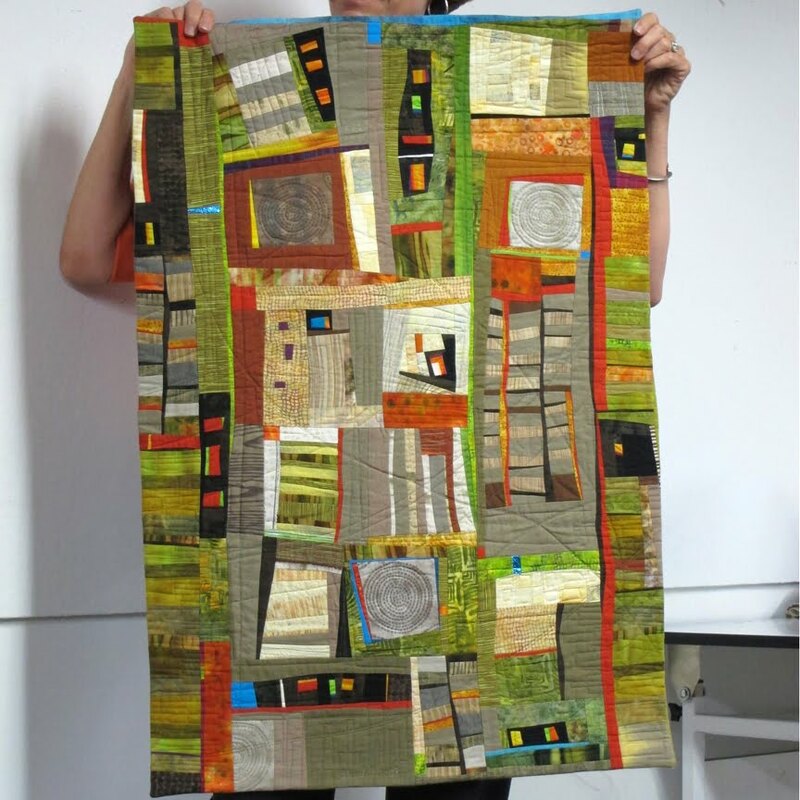 Above quilt has been in Ale's family for generations—entirely hand quilted! 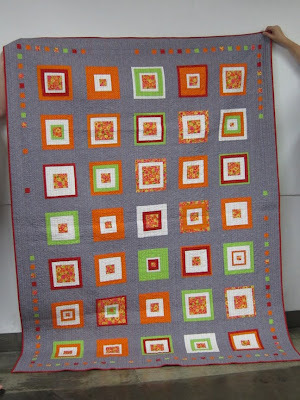 Cheran, April Showers, "Felt moved to make something happy and orange. 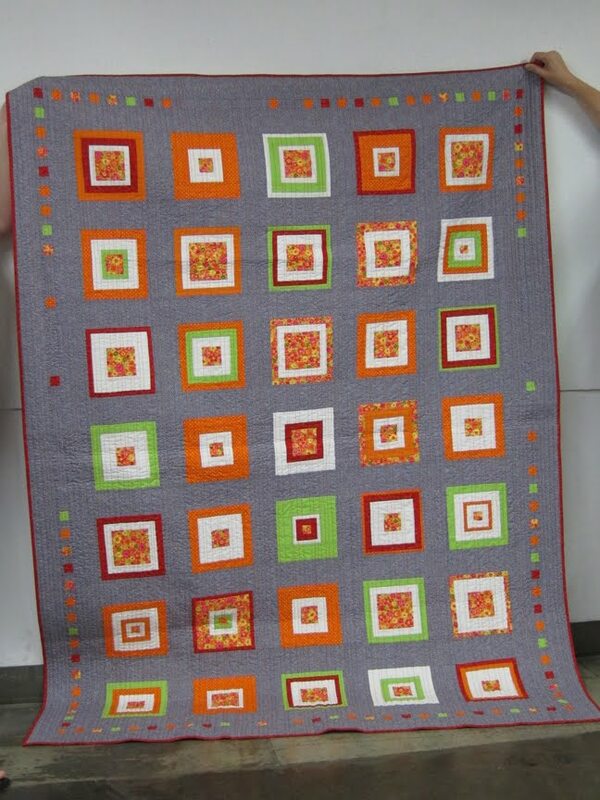 The floral and the grey pindots make me think of Spring."